News from the Nose: Mother's Day Specials and More! Perfume Oils: New Sizes and new Fragrances!!! perfumes from our collection that are no longer available on our website. 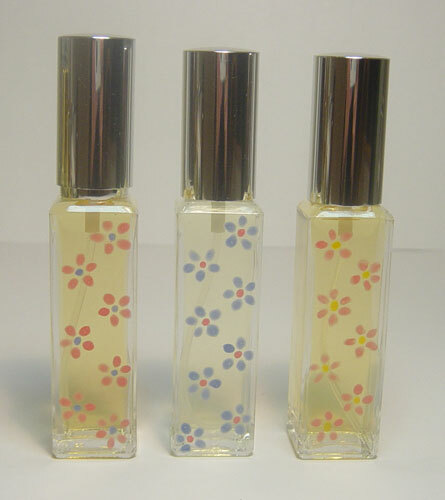 Perfume Oils - New Sizes and new Fragrances!!! now offering our entire line (except for 3 scents) in a jojoba oil base. parfum essence, making it rich, soft and luxurious. traveling far or near, for only $65. parfum flacon and a pendant. organic and wild crafted teas are TO DIE FOR! on the gift certificate and we'll send you a PayPal payment request. * Offers expire May 30th. of Natural Perfumer course which begins this weekend. get out just out of the course by becoming a correspondance student. The course is tailored for those who are willing to deepen their udnerstanding of perfume and fragrance and get olfactorily creative - either professionally or for personal growth and pure pleasure. The correspondance course is comprised of 5 one-on-one session conducted via phone, and are tailored for your individual level, needs and goals in yourperfumery journey. Assignments are sent by mail for evaluation on a monthly basis and will receive thourough feedback with suggestions for improvements and customized excercises to help you develop the skills needed for creating natural perfumes as well as define and refine your own style. The course can be purchased here. Don't miss Portobello West this Sunday, with just over 100 of the most talented, creative and innovative local artists and designers working independently here in Vancouver. Bring your friends and family to help you pick gifts for Mother's Day or that unique accessory you were missing from your wardrobe. The market takes place every last Sunday of the month at the Rocky Mountaineer Station, open 12-6pm. Parking is free, admission is cheap ($2 for adults, kids are free). For more info about how to get there click here. - Defining "perfume" and what is "natural"
This weekend session was the first in a total of 6 monthly sessions for this group of students (one of which is an individual, one-on-one session at the lab/studio). Correspondence students may need to rely more on th extensive handbook that accompanies the course, but will still get the same one-on-one guidance only via phone and by sending in their work for evaluation and feedback. The book turned out better than I imagined, and there were only 20 copies printed for the 1st edition. Although the book could stand on its own in your studies it is really important to have the classes and/or personal sessions with me to get the most out of the course. Just like with my perfumes, the course is as personalized as could be. There are some exercises that may not appear in the book and would be assigned to individual students based on their level and specific needs. It's really tailored for each one of my students to excel and get a head start in the field. The next course will start in September after the Summer hiatus, and registration is ongoing until than. Contact me directly if you are interested in the course and would like to apply. Gigi, originally uploaded by Ayala Moriel. My parfum de jour is l'Écume des Jours. Some spilled as I was filling up purse roll-ons with the perfume oil. Some spilled on the table and that was the best use I could think of, so it wasn't quite intentional so to speak. Which is sometimes the best way to introduce scent into one's day. I'm surprised at how indolic it is in the oil concentration, on my skin. The pink lotus is really coming through beautifully underlined with those salty seaweed notes. The alcohol version shows more of the boronia in my opinion. I also visited several flower shops today, mainly in search for a descent gardenia plant with some flowers for my Gigi photoshoot, and found only a couple that are sort of in bloom. The scent is beautiful. And so was the scent of lily of the valley that I decided to postpone buying till tomorrow so they stay fresh and lively for the weekend. Unwanted, originally uploaded by vlastik. 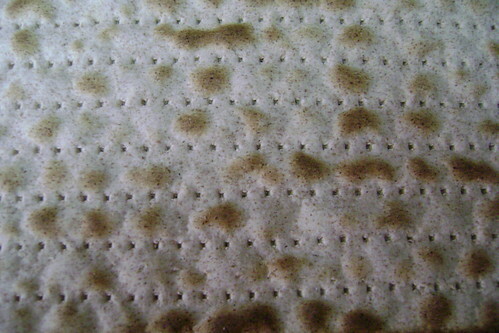 On the Seder plate, you’ll find a special place for bitter herbs and horseradish. Bitter herbs include celery leaf and Romaine lettuce (both very bitter when grown in Israel, since they are not as watery as in North America so the flavour is so concentrated it’s bitter). This year was the first time when I noticed that there might be other use for the bitter herbs, aside for symbolizing the bitterness of slavery*. Bitter herbs, as my friend Dawna has taught me (along with her infectious passion for tea, herbs and plants in general), act as liver tonic and stimulant and are an excellent way to welcome Spring and kick off any getting-healthier plans towards the summer. In the winter, our metabolism slows to save energy and overall we get into the introvert mode of hibernatnion. Spring being a time of awakening and renewal is an excellent time to stimulate and cleanse the liver. This does not necessarily mean three weeks of hot water and lemon diet; it may just mean looking around to see what grows locally and what is available and turning it into an inspiring yet nutritious meal. 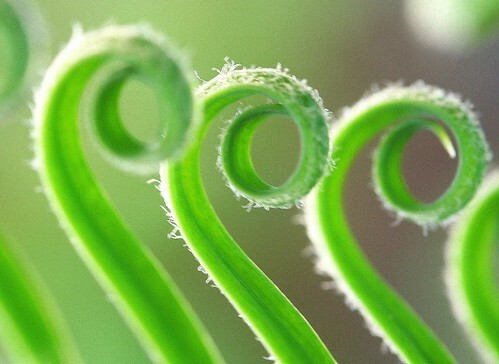 Nature has her strange and magical ways to give us what we need when we need it. 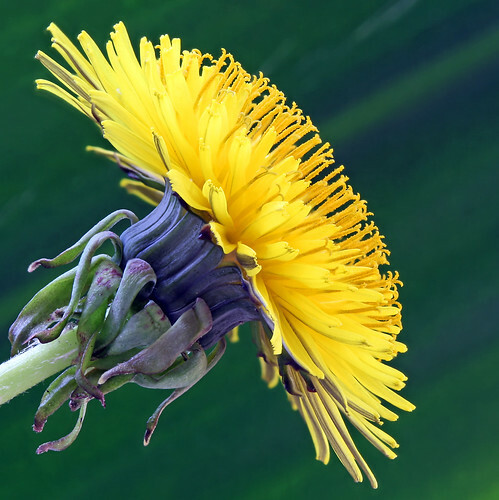 In the Pacific West Coast, you may notice plants such as dandelions, stinging nettles and fiddleheads. In the Middle East where I grew up, aside from dandelions there is also an abundance of other bitter herbs, a little earlier in the spring (so some are already too aged to eat), i.e. chicory and wild artichoke; but some are just at the peak of their season now, such as field mallow. Most green leaves are rich in nutrients such as calcium, iron and vitamins (Vitamin C in particular). Other bitter herbs that you may consider using are watercress, nasturtium flowers and leaves (very rich in vitamin C), and fenugreek leaves or sprouts. The following are suggestions for a light meal that could be as festive or casual as you wish. Bitter dandelion leaves garnished with nasturtium flowers and immersed in a light vinaigrette based on olive oil and either apple cider vinegar or balsamic vinegar. ** More detailed recipes will be published next week. sencha in blue, originally uploaded by pzed. I am willing to admit of having one addiction. Perhaps the only thing I drink (almost) every day. Today's mental note is for the scent of green tea. There are many types and grades. But I'm particularly smitten with the ones grown in Japan. The other day, my friend Junichi gave me a couple of tea bags that are a non-traditional alternative (shall I say sacrilege? But since it was given to him by his mother, who is Japanese through and through I think it can be trusted) for a loose-leaf brewed tea. It's a blend of sencha leaves and matcha powder. I couldn't help but deelpy inhale this green goodness (only to find some suspicious green powder residue up my nostrils a bit later...). What a way to start the day. The brand I believe to be Kirkland and it is quite good actually. I particularly like the fact that the tea bag is not made of paper but of some kind of sheer fabric of sorts, through which the appearance and aroma of the leaves and the matcha powder comes across quite invitingly. And throughout the day I was sipping not matcha, but my own (first) tea invention: jasmine tea with lemon verbena leaves (the latter are organically grown at my mother's garden, harvested, dried and packed with plenty of love which makes it taste all the more magnificent). Today was an ode to tea. Of the green kind. Every day there are fragrances that make it for me. The smells of cooking, of plants and flowers or city odours in my surroundings, essences that I immersed myself in at my lab, and of course the perfume I chose for the day. It would be interesting to keep a daily log of little, mundane olfactory events that caught my attentinon. My Pilates teacher's Gucci perfume this morning. I'm almost certain it's Gucci Rush but have to check it out to confirm. Razala parfum oil. It's interesting how the rose and the oudh are coming out today on my skin. For the record, I've been wearing Le Parfum de Thérèse in the past few days as it reminds me of wearing it in the heat of Passover in Israel. It's hot here too, as long as I'm indoors and looking at the sun from inside, avoiding the chilly breezes. This is going to be a new feature of SmellyBlog. Simply sharing the fragrances that made my day. I hope you'll chime in and tell us about yours. Not meant to replace the more in-depth features of this blog or interfering with its nature, but merely an excercise of keeping a daily olfactory (or is it smelly?) log, and making this webspace a little more interactive. Maztah, originally uploaded by Ayala Moriel. Happy Passover from chilly Vancouver (It snowed on Friday, can you believe it???). May this holiday brings true freedom to all of us, we all deserve it. You are invited to visit my brand-new Etsy shop! What's the difference between my Etsy shop and my online boutique? 3) Discontinued and limited edition perfumes that made it temporarily back in stock will be featured on the Etsy shop as well. 4) New colours for pendents will be also featured only on the Etsy shop. We currently have moon stone, opalite, carnelian and mother of pearl, aside from our signature opal stone ones. Essentially, the Etsy shop will not have all the perfumes listed - just the most popular ones or the discontinued ones. Check it now - I hope you'll find there what you are looking for! And if not, I'm always here to hear from you about new things you'd like to be added or hunted down. Purse/Pocket Roll-On, originally uploaded by Ayala Moriel. Newly added size for parfum oils - 5ml roll-on bottles, compactly sized to fit in every pocket or purse. 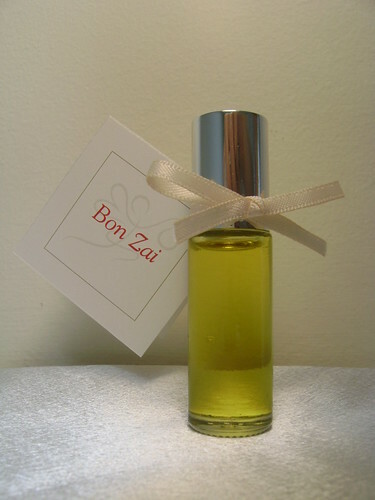 The luxurious parfum oil (30-40% concentration) is based in golden, unrefined jojoba oil. Jojoba oil is a liquid wax and never goes rancid like most other oils. Resembling the skin's natural sebum, it helps prolong the longevity of the scent on your skin; therefore, we particularly recommend this form if you have a dry skin or find that most scents don't last long enough on your skin. The parfum oils are especially soft and warm, and very long lasting. Now offered at an introductory price of $65. Elegance, originally uploaded by _wintermute. While evolution often follows challenge and crisis, few will admit that a sign that you have truly evolved is when your life, all of a sudden, has everything you dreamed of, sans the drama. Strangely enough, I find myself today, the scheduled launch date of my grand gardenia soliflore GiGi to be quite lacking any deeply emotional stories tales related to this dramatic floral note. Where to begin? Perhaps the name choice. It is in reference to the musical of that name, starring the youthful, innocently tomboyish Leslie Caron. Somehow, the sentence about “making love in a gardenia scented garden” is the only thing from the film that got stuck in my mind forever and that’s where the name came from... While I can’t say there is anything un-romantic about it, in that context it seems so overtly dramatic to the point of ridicule. Which is precisely the direction I was heading for - lighthearted even if a bit mysterious (you can’t avoid that with gardenia! 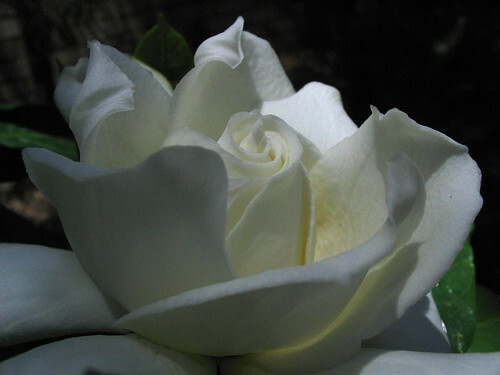 ); rather than the Bluesy, Billie-Holiday-esque gardenia ornaments, a gardenia that is open to your own interpretation, with a mood that is easy to manipulate. The focus here is on creating a rich, creamy gardenia from complex natural essences only. A true challenge indeed, when you cannot use Benzyl acetate; not to mention (E)-ocimene, linalool, asmine lactone, or gamma-decalactone (used to create gardenia headspace). Rosewood - chosen for the abundance of linalol content, creating that smooth and soft, clean yet heady floral top notes. Tuberose - creamy, soft, suave and very close to gardenia absolute (which is a rare find that turns out only very rarely). Myrrh - adding a hint of bittersweetness, which is very important in a gardenia. Sandalwood from India - from the very last batch I was able to obtain; sandalwood trees in India are becoming extinct, and hence GiGi will probably not be around for too long... At least not in its exact current form - as other sandalwoods do smell different and are less creamy and deeply rich. Ambrette CO2 - adding depth and a soft muskiness, sweet but not cloying, and adding an effect that is reminiscent of Monoi de Tahiti on a sun-warmed skin. Vetiver from Sri-Lanka - contributing to the sun-warmed skin and beach notes in the dry out phase. Vanilla CO2 and Absolute - for a round, soft sweetness. GiGi is available for a limited time only (until my sandalwood runs out!!! ), in the 1/4oz parfum extrait flacons, or parfum oil roll-on bottles, and of course the 1ml sample vials so you can try before you buy. Enter here for your chance to win a a sample package of Ayala Moriel's newest perfumes and perfumed teas via Le Parfumeur Rebelle - a resource website dedicated to independent natural perfumers. Hand Painted Soliflore Bottles, originally uploaded by Ayala Moriel. One big change has finally taken over: the old www.Quinta-Essentia.ca website is now gone and re-directs to www.AyalaMoriel.com. 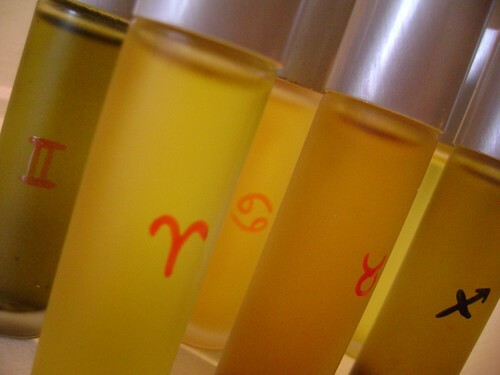 That means that all the Zodiac sign perfume oils can only be purchased via email-order from now on. Libra - Soft floriental with tuberose, tonka bean rose and sandalwood and a hint of green galbanum and clementine. (2 available). Taurus - Oriental rose deepened with patchouli and vanilla and a sprinkled with a hint of palmarosa and tangerine. (2 available). There is also the very last bottle of Magnolia Petal 1oz EDP spray bottle for the same price, $50. To order any of these, or inquire on the complete list of notes, please email me. Spring Cleaning 2: "Out out damn spot", originally uploaded by sidewalk_story. 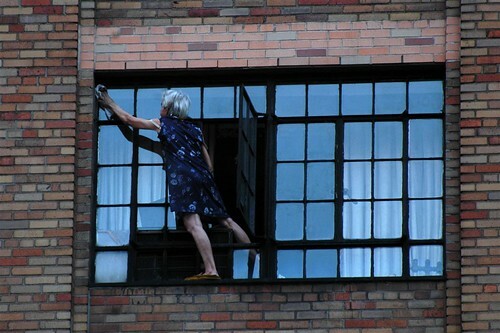 Dust, paint, tax returns... All those hectic things that come with spring cleaning can really throw one off balance. How to handle this without freaking out?! Well, one room at a time for one thing. And one thing at a time as well. Creating a checklist of what needs to be done is an excellent way to cope with the stress, and also make sure everything is done. 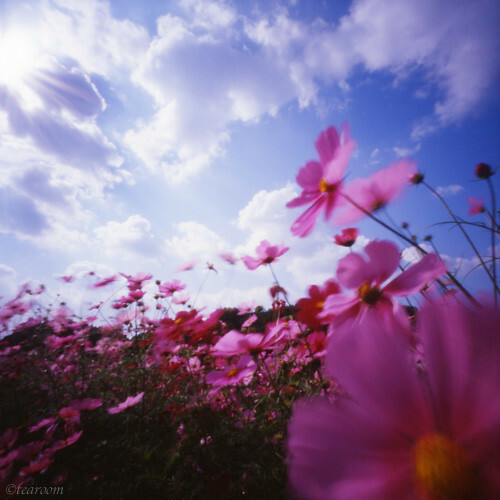 In several cultures, the year start at springtime (Persian New Year is only one example). In our hectic lifestyles, it won’t hurt to re-visit our New Year’s Resolutions from a few months back and see what we have accomplished, what we’d like to change, etc. What I find helpful is to instead of looking at spring cleaning (or any other cleaning, for that matter) as a chore - see it as an act of cleansing. It really does make one feel good to have a tidy and clean space to live in. And just as we enjoy bathing and showering daily, the household “chores” can become a daily ritual of beautifying, cleansing and re-organizing the space. Some of the aspects of house cleaning that definitely makes a difference is what do you smell when you clean. I noticed that ever since I switched to natural, bio-degradable and naturally scented household products, cleaning has become a lot more pleasant. Not getting a headache from the chemical fumes is definitely a bonus (although I have to note, that every once in while I do need to use a touch of chlorine to get certain stuff “really” clean and get rid of those tough spots...). There are more and more cleaning products available now to choose form that are “green”. You can also make your own mixture of water with anti-bacterial essential oils for surface cleaning. Simply add a few drops to a spray bottle filled with clean tap water. Examples of oils with anti-bacterial actions (that are also very affordable, by the way) are: rosemary, mint, citrus oils, pine, lavender, eucalyptus and tea tree oil. Once you’ve finished your spring cleaning, you may want to try performing a clearing-space ritual, using incense. There are many variations on this ancient ritual, as many as the cultures there are in the world. Two universal elements seem to be the use of incense burning, and creating a circle in relation to the 4 directions of the wind. The Native North Americans would burn sage, cedar and sweetgrass to clear the space, approaching each direction of the wind and communicating with the spirits; Western cultures used frankincense and myrrh and create a circle protected by guardians of the four elements; also purification with water can be added to the ritual, using rosewater or water with hyssop oil. Weather or not you believe in spirits, angels or any divine forces is not of particular importance (in my opinion, anyway...). Even the most secular and atheist person can benefit from giving attention to every room in the house and fumigating it with incense. These fumes cleanse the air and the attention you bring to each corner stirs up any stale energy that pervaded clutter-zones and replace it with fresh flow of air and energy. Well well, dear readers, I lied. There is no draw for any samples of my In A Station of the Metro 1st mod. Instead, all the readers who commented (except for Heather, who already got one of course) are the winners of a sample vial. We only have 1 little problem - I only have 5 vials; so I will be decanting just a little bit of each one of them to create a 6th one. They will be only ever so slightly less than 1ml, and I am sure you will be able to derive much pleasure from your slightly reduced jus. I thank you again for commenting, and hope you enjoy my little perfumed poem! And one last thank you to Heather for initiating this fascinating project and inviting me into her beautiful poetic world. Cycas revoluta leaves uncurling, originally uploaded by Amelia PS. After the bursts of flowers have been shaken up by storms or sun, and been run down to the grown, little green leaves emerge and cover the trees with what is at first a very pale, transparent green, growing stronger and darker as the sunshine unfolds. Crushed green leaves are perhaps the second most powerful smell we associate with spring. Perhaps freshly turned soil is another, if you are in the gardening circles. Crushed leaves in perfumery have an interesting double-standard, meaning at once nature at its best - and also class, restraint and well-mannered elegance. If simplicity, nature or spring cleaning appeal to you, you may enjoy these fragrances more than florals during this time of year. Here are a few leafy-green fragrances that particularly appeal to me. Clean, sharp and somehow, even 30-something years after its launch it still feels very current. No. 19 is like jeans and pearls and can be equally enjoyed by a nature girl roaming through the forests or a sophisticated urban-bound gal trotting up the street promptly accessorized with a dog and purse to match. Laura Ashley No. 1 - a scent that is unfortunately discontinued; sophisticated green floral that brings to mind an English garden at spring time with flowering bulbs of lily and hyacinths. It’s lady-like, well-mannered, romantic and only very tiny bit melancholy, a quality which I usually find to underline most green fragrances. Similarly romantic, and with a more cheerful, fruity and soapy attitude is AnaisAnais by Cacharel. With its fresh galbanum notes, Madonna lily and a mossy base it’s a classic for this season, without being too sharp. Warming up the florals with its signature Guerlinade of vanilla, iris and tonka bean, Chamade by Guerlain has all that spring has to offer - the sharp galbanum, the heady hyacinth and the mossy base of freshly turned soil. Lastly, Masakï Matsushïma’s Mintea, a minty green tea scent, with a musky base. What I like about it is it’s freshness that lacks sharpness despite the fact that it is green; unlike most greens, it also stays close to the skin and has a beautifully soft, skin-musk like base. Wether the weather agrees with it or not, it’s spring time, and it’s time to enjoy some fabulous fragrances that emphasize the season’s best traits. Some of which are obvious, like flowers and greenery; others are more subtle and elusive, having to do more with the role of spring in revival, resurrection and renewal of both body and spirit. Spring means flowers. Yes, it’s a cliche but it’s true! And different flowers bloom in different parts of the world, so this can be an opportunity to tune yourself in with nature and adorn yourself with similar scents. There really couldn’t be a better time in the year to douse yourself with a floral bouquet or a single note; preferably of lighter, brighter floral notes. Light white floral notes such as jasmine, orange blossom and mimosa reign my spring fantasies, but it may be different for you depending on your own favourite florals and the particular blooms that inspire your environment. Back home in Israel, at this time of the year the air is permeated with the heavy blossoms of wild flowers, mimosas and orange blossoms. Wild flowers are difficult to mimic in perfumery, and rarely have been as far as I know. When visiting my home country in the spring, I always make sure I bring with me my orange blossom perfumes - Jo Malone’s Orange Blossom Cologne for its citrusy freshness; the abstract Narciso Rodriguez; the mysterious Orchid from Aftelier; and finally, my very own all-natural perfume Zohar, which is inspired by the orchards in full bloom. As far as mimosa goes - I like mine light and sweet, such as Mimosa pour Moi or Les Nuages de Joie Jaune. Here in Vancouver, the scents floating in the air are mostly of cherry blossoms, magnolias, blooming bushes and spring bulbs: hyacinths, tulips, daffodils, and Madonna lilies. My Vancouver spring essentials for colder days include KenzoAmour for it’s sweet cherry blossom scent, Farnesiana to remind me of mimosa but in a warm almondy-cherry-like way. Flower by Kenzo is another interesting choice for a warm, powdery floral that is again heliotrope laden (combining vanilla sweetness with a hint of cherry/almond like bitterness). For crisp, bright spring days I may prefer delicate soliflores such as Ofresia (Diptyque’s freesia soliflore) or After My Own Heart (Ineke’s lilac soliflore, underlined with raspberry, heliotrope and musk). But in no doubt, my favourite floral discovery this spring is the perfectly balanced, all-natural perfume Waterflower by Liz Zorn - a floral that is never too pretty yet oh so delicate and has a balanced underlining sweetness that makes it very wearable in the often less than hospitable Vancouver spring weather. rizaulait+gingembre, originally uploaded by auntie_jo. A month ago, I shared with you my craving for ginger and amber, together. Now experiencing the sequel of the same flu (been traveling around the city I hear, with two phases, thankfully the second is less aggressive than the first) - my ginger & amber craving has come a full circle. In the last three or four days, I have been wearing my second mod for this amber and ginger perfume concept. This ons is so simple it’s almost ridiculous to even consider it a perfume yet. But it works as a skeletal stage for something bigger and better. I hope. All it has is my amber base no.3, with organic ginger CO2 and an extra boost of styrax added. Since there is already styrax in the amber formula, don’t even consider it an additional element or note... The amber base includes plenty of styrax, plus benzoin, vanilla, tonka bean and two different labdanums. It’s a sheer sweet amber, simple and easy going. It wears nicely on the skin, even if a little too soft. I would like to see more of a dichotomy between a zingy bite in the opening, and a deep, rich, caramel-like at the base. 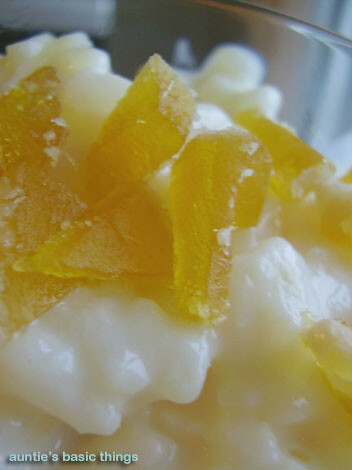 When I was searching for images to illustrate this little entry I came across this rice pudding garnished with candied ginger. It instantly reminded me of the ginger gelato I had in Squamish two weekends ago. It was dotted with caramelized ginger galore. And if you found a teaspoonful that did not have ginger in it, it tasted mostly like mastic, the magical resin used to thicken and flavour ice cream in the Mediterranean region. It is the contrast between the cool ice cream and the hot, spicy ginger that I find most intriguing, and perhaps this is what I’m searching for in my amber & ginger perfume. The sharpness of ginger on the backdrop of buttery-smooth amber is what I envision for it. Something to think about: adding notes of mastic resin tincture. And amplify the ginger so much so, that it would have an unmistakable initial bite, no matter on how much amber it’s lying.